So they are saying there is 8 other players better than Justyn, Tee and Isiah? Really, that's the story they believe? We have at least 5 of the top 10 players in the country! Which by anyone's standards is really crazy!! #WETOODEEP! That is even leaving XT off the list! XT will make sure they remember his name after this coming season!!! If Tua is No. 1, why are all of the pundits and pros telling us they can't wait until Lawrence's name is in the draft? I don't hear all of this same chatter about Tua. Ridiculous. In other breaking news, Athlon ranks North Korea as the most loved and admired country in the history of the world. TLaw #2? Did the guys from Athlon miss the NC game? 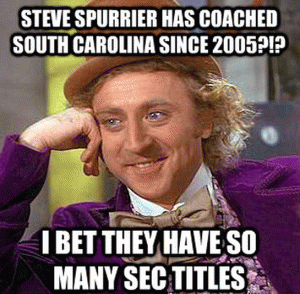 Tua better than Trevor.......these fake news people never give up do they......they better start doing a little fact checking .....head to head matchups obviously don’t matter either......we are not stupid but they obviously are.......what a frigging joke and if they can’t be truthful they just need to shut up.....Go Tigers!!!! I think TL is a better qb by far, but why would a head to head matchup matter? Trevor doesn’t play against Tua. TL faces the Bama defense and tua faced to Clemson defense. Head to head team matchups would have nothing to do with who is the better qb. Clemson also had a way better defense. Heck, even Trevor struggled some against our defense Saturday. To me it is "head to head" because both QBs were playing against the top ranked defenses. They weren't playing pansy or mediocre defenses. When each had to perform against an elite defense, it was very clear who succeeded and who didn't, given the same odds. It's about how each QB responded to the same very difficult odds and obstacles. +1, IMO. Had we not played each other, and had Trevor not performed as he did, nor Tua performed as poorly as he did, I might see an argument that Tua was better. We did play head to head, though, and Trevor certainly showed on the big stage, with it all on the line, that he is better. Much better! Yep, Tua was 44-16 better, but the 44 was from TL-16, and the 16 was the best that Tua had, and then the backup was sent in. Oh well, they can't be right all the time, not even most of the time!!! Just in case you were under the mistaken impression that the talking heads, deep down, don't still believe Alabama is the best. As I recall, at least one of TL's picks was an end-of-the-half heave which meant nothing. not surprised. The 'bamer love fest lives. Also, they have too many fan bases to satisfy, so to get eyes they can't put more than two Tigers on the list. I love that Tua Unpronounceable is still raked ahead of TLaw ....... That's some good bulletin board material for next season. I look forward to TLaw and Clemson who is really #1 in the only way that matters, performing and winning on the field. Another few months and Trevor's legacy will vault into legendary status ... if it hasn't actually done so already . He isn't second best to Alabama's QB ... I mean he has already outshined and outperformed him on the biggest stage in the sport . ETN is the best returning running back in CFB , no disrespect to the Wisconsin kid or some of the other guys on that list , but ETN is a cut above . I was not very good in math , but it sounds to me like we have 2 of the top 4 players in the country . I believe Trevor said it all on the field that night. 44 - 16. As Gump would say, Tua supporters need to go back to GREENBO, ALABAMA!